The best camping in Hawaii. 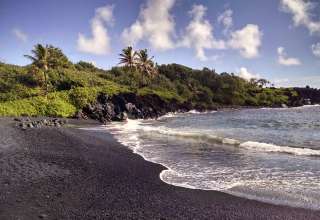 From the Big Island to Kauai, there's a reason campers and nature lovers flock to this island paradise. For an incredible camping experience on Hawaii, set up camp and immerse yourself in your island's vibrant natural scenery, rich local culture, and world of outdoor adventures. 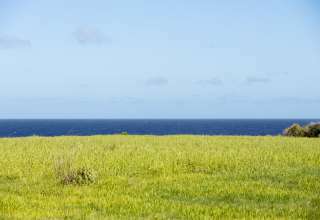 A trip to Maui offers the best of Hawaii state park camping. Hike the forested cliffs of Haleakalā National Park, where your hard work pays off in scenic ocean views, refreshing rain showers and close proximity to the Seven Sacred Pools. 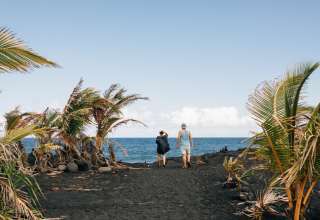 To experience the Big Island a little differently, explore the local lodgings with a trip to a permaculture farm, local ranch or forested retreat, just a short walk away from black sand beaches, bursting tide pools, and lava formations. A morning at the farmers market is a great way to get to know the local musicians, farmers and craftspeople who contribute to Hawaii's rich and diverse culture. Ready to step out of that tent into the heart and soul of Hawaii's best surfing? Head to O'ahu, where primitive, tranquil camping can still be found away from busy Honolulu. If you've made it to Hawaii with camping gear in tow, you're already doing it right. Hawaii's Mauna Kea is the tallest mountain in the world, if you measure from its base on the ocean floor. The island of Maui is home to the world's largest dormant volcano, the Haleakala Crater. Since 1978, the Ironman World Championships have been held yearly in Hawaii.